I spoke yesterday evening at a Data Protection Day event in Trinity College Dublin. The theme was “What does the Internet say about you?”. It was organized by the Information Compliance Office and the Science Gallery in Trinity. Jessica Kelly of Newstalk introduced and chaired the event. You can download audio of my talk here (via SoundCloud), and you can download slides for my talk here (via SlideShare). I was full of my usual caffeine-deprived doom about the challenges which technology pose for privacy. Jeanne Kelly, a partner in Dublin solicitors firm of Mason Hayes & Curran, spoke about the still-pending EU Data Protection Regulation. Conor Flynn, principal of Information Security Assurance Services, spoke about our digital footprints. And Sinéad McSweeney, Director of Public Policy for Europe, the Middle East and Aisa, at Twitter, talked about Twitter’s foundational commitments to freedom of expression and individual privacy. The evening was recorded for podcast, and I’ll blog about those presentations when the podcast is available. In this post, I want to mention one point which I made near the end of my talk. I coined a new word – the last word in the title to this blogpost. In his speech on leaving the US Presidency in January 1961, Eisenhower warned against the growing power of the military-industrial complex. In modern surveillance terms, we might term this the security-corporate complex. And we already have a word for when the military/security state goes bad, as illustrated in George Orwell’s 1984, Aldous Huxley’s Brave New World, Ray Bradbury’s Farenheit 451, and Anthony Burgess’ A Clockwork Orange. That word is “dystopia”. 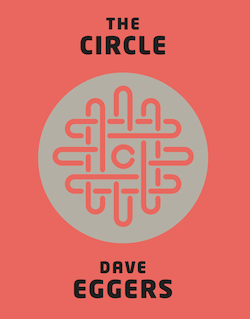 However, we don’t have a word for when the industrial/corporate society goes bad, as illustrated in Dave Eggers’ The Circle (cover pictured top left). I think it’s beyond time we had one, and the derivation of “dystopia” provides a guide. It was coined as a counterpoint to “utopia”, devised by Thomas More, initially to describe “nowhere”, from the Greek “ou” = “not” and “topos” = “place”, and now to describe the “perfect state”, from “eu” meaning “good”, and “topos” meaning “place”. Reflecting this derivation, John Stuart Mill devised “dystopia” as “frightening state”, from the Greek “dys” meaning “bad”, and (again) “topos” meaning “place”. I suggest that we need a word for “frightening company”, and that we can devise one by following the lead provided by More and Mill. Let’s keep “dys” as the prefix, and look for a suitable word to which to add it. Greek provides “aguris”, which means “crowd” or “group” (or “gathering”, “assembly” or “marketplace”, and which has already lent other words to modern English). Hence, from “dys” meaning “bad”, and “aguris” meaning “crowd” or “group”, I suggest “dysaguria”, as a noun meaning “frightening company”, and “dysagurian” as the adjective to describe that company. Indeed, “dysaguria” is the perfect noun and “dysagurian” is the perfect adjective to describe the eponymous company in Dave Eggers’ The Circle. It’s not in the same league as Orwell, or Huxley, or Bradbury, or Burgess. But it does raise very important questions about what could possibly go wrong if one company controlled all the world’s information. 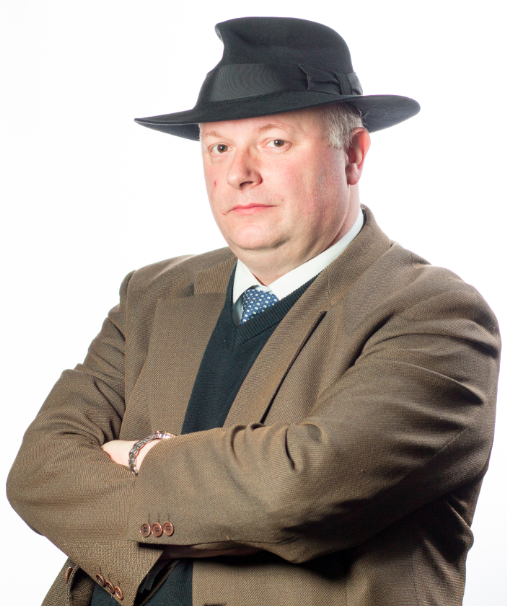 In the novel, the company operates according to the motto “all that happens must be known”; and one of its bosses, Eamon Bailey, encourages everywoman employee Mae Holland to live an always-on (clear, transparent) life according the maxims “secrets are lies”, “sharing is caring”, and “privacy is theft”. Eggers’s debts to dystopian fiction are apparent. But, whereas writers like Orwell, Huxley, Bradbury, and Burgess were concerned with totalitarian states, Eggers is concerned with a totalitarian company. However, the noun “dystopia” and the adjective “dystopian” – perfect though they are for the terror of military/security authoritarianism in 1984, or Brave new World, or Farenheit 451, or A Clockwork Orange – do not to my mind encapsulate the nightmare of industrial/corporate tyranny in The Circle. On the other hand, “dysaguria” as a noun and “dysagurian” as an adjective, in my view really do capture the essence of that “frightening company”. And now, finally armed with an appropriate word, I can sum up the theme of my talk yesterday evening. In much the same way that we must be vigilant against a military/security dystopian future, we must also be on our guard against an industrial/corporate dysagurian one.